"Superb writing advice... hilarious, helpful and provocative." -- "New York Times Book Review." "A warm, generous and hilarious guide through the writer's world and its treacherous swamps." -- "Los Angeles Times." "A gift to all of us mortals who write or ever wanted to write... sidesplittingly funny, patiently wise and alternately cranky and kind -- a reveille to get off our duffs and start writing "now," while we still can." -- "Seattle Times." "Superb writing advice... hilarious, helpful and provocative." -- New York Times Book Review. "A warm, generous and hilarious guide through the writer's world and its treacherous swamps." -- Los Angeles Times. 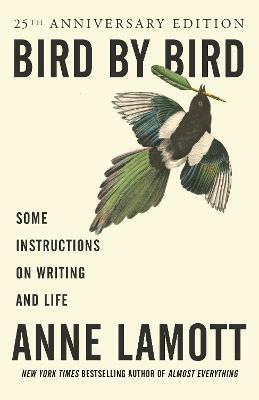 "A gift to all of us mortals who write or ever wanted to write... sidesplittingly funny, patiently wise and alternately cranky and kind -- a reveille to get off our duffs and start writing now, while we still can." -- Seattle Times.